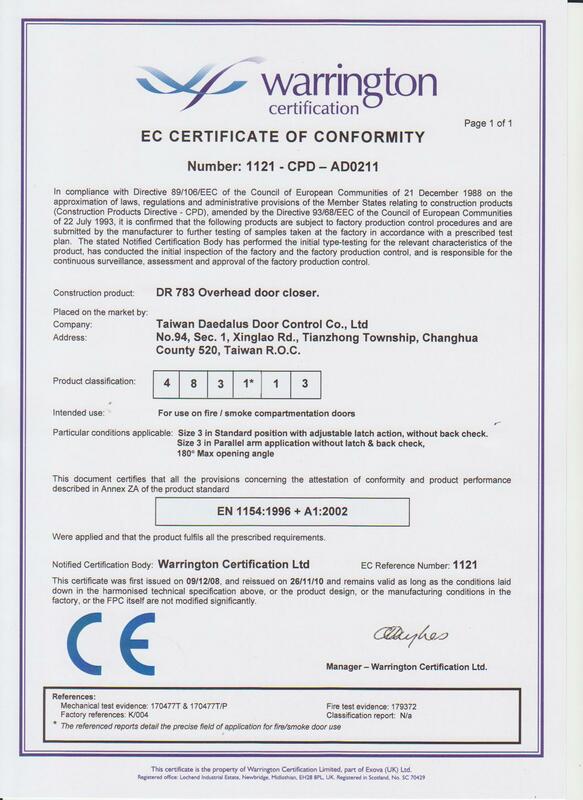 Taiwan Daedalus Door Control Co., Ltd. is a specialist for manufacturing full range product and component of "Door Closer" and "Floor hinge", which has over 30 years experience. 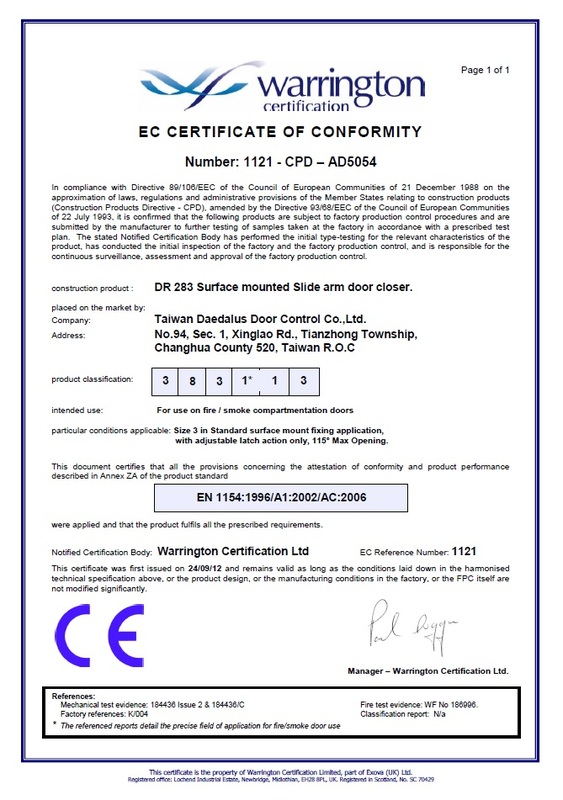 We are an ISO 9001 company and a CE factory. 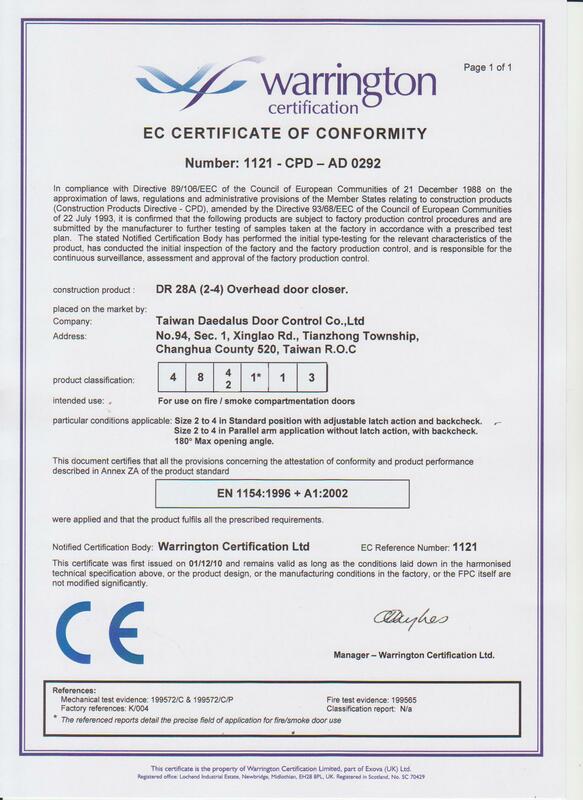 Our products also conform to the EN1154, CE, UL, and PSB standards. 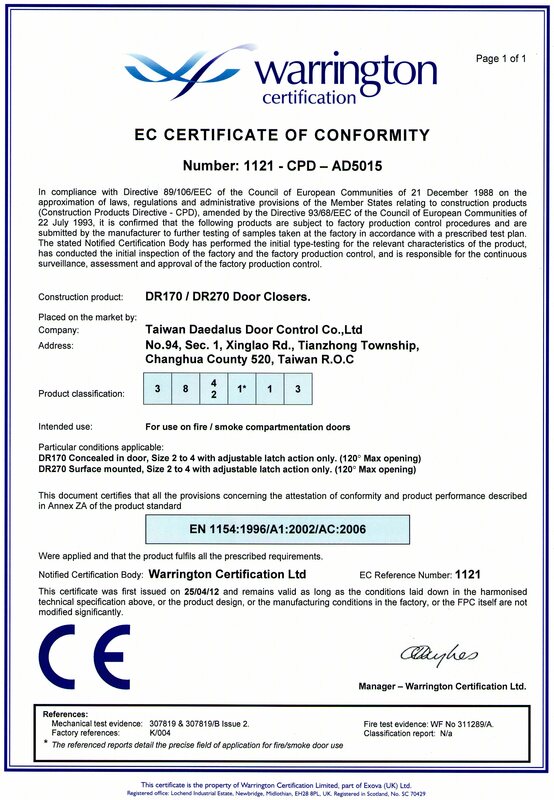 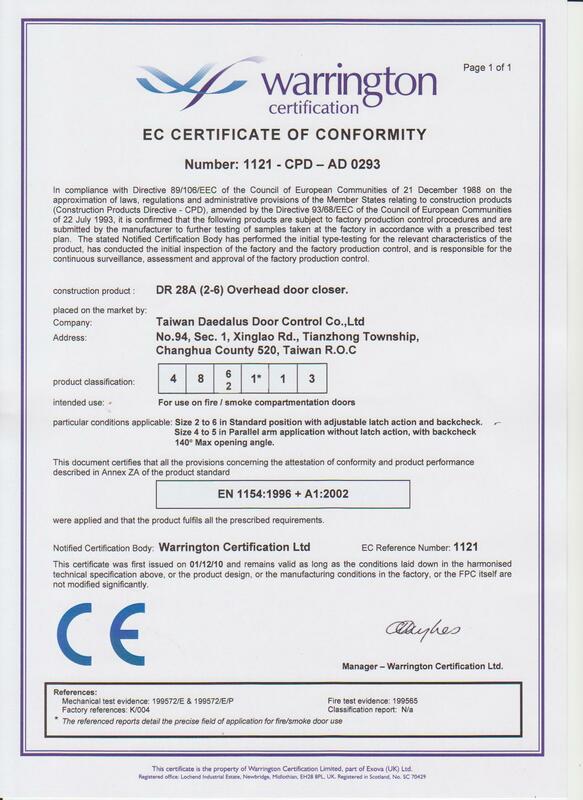 We also strict with controlling our quality basic on EN1154 standard which have got the certificate from UK Warrington and accredited for testing of building hardware and doors in support of European legislation. 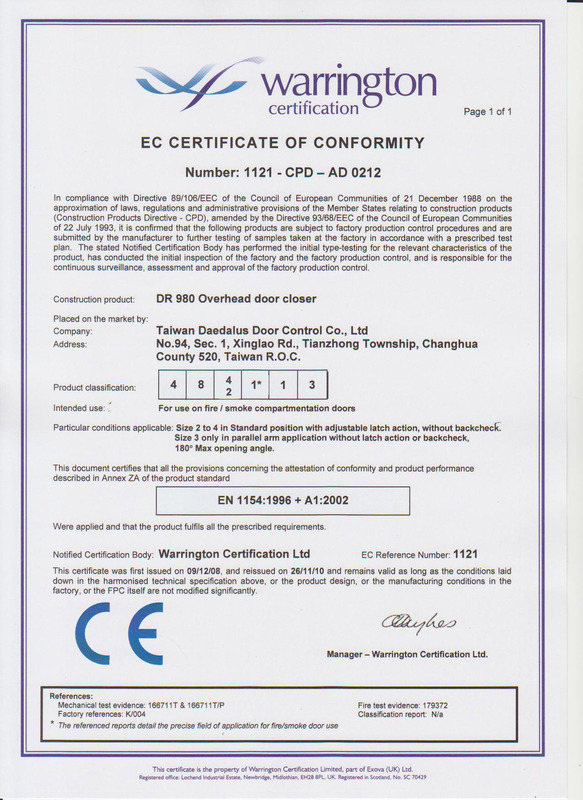 They are the largest independent fire testing, consultancy, research and certification organization in the UK and have a significant presence in Europe, Asia, Australia and the Middle east. 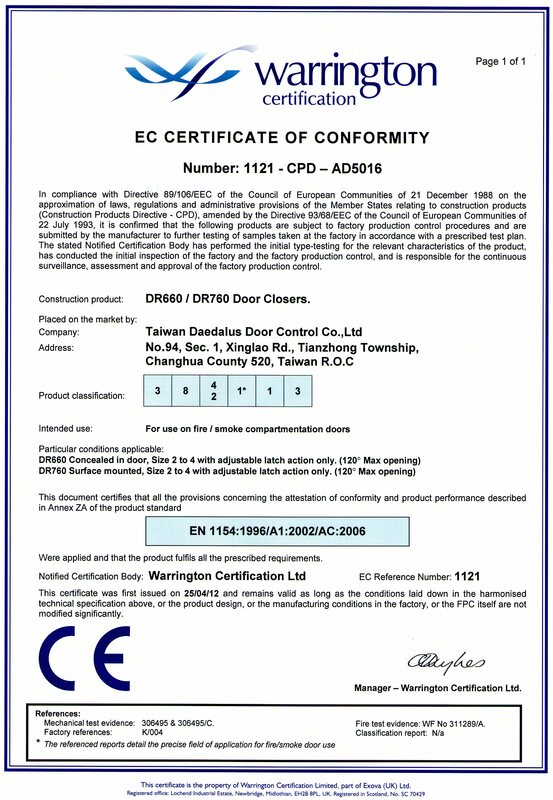 We uphold the spirit of innovation and adhere to high-end devices door closers route. 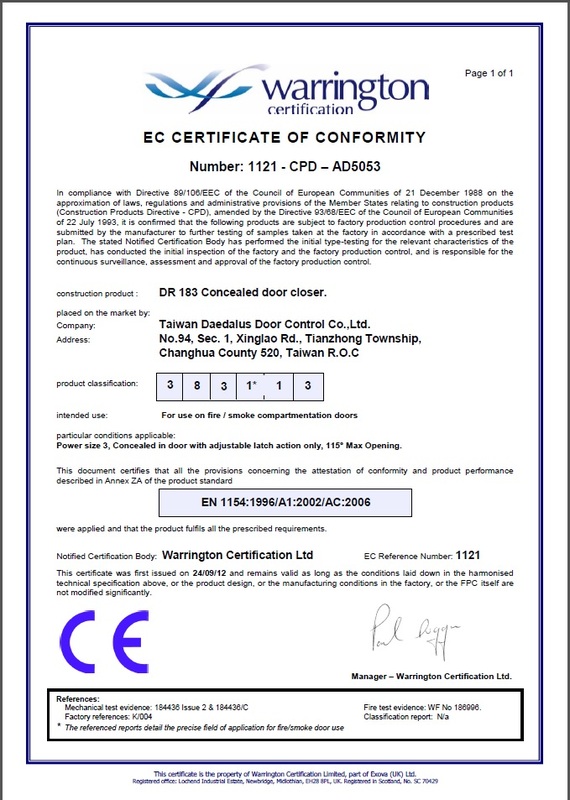 To offer the customer's self-design and brand requirements to meet customer needs is our biggest advantage. 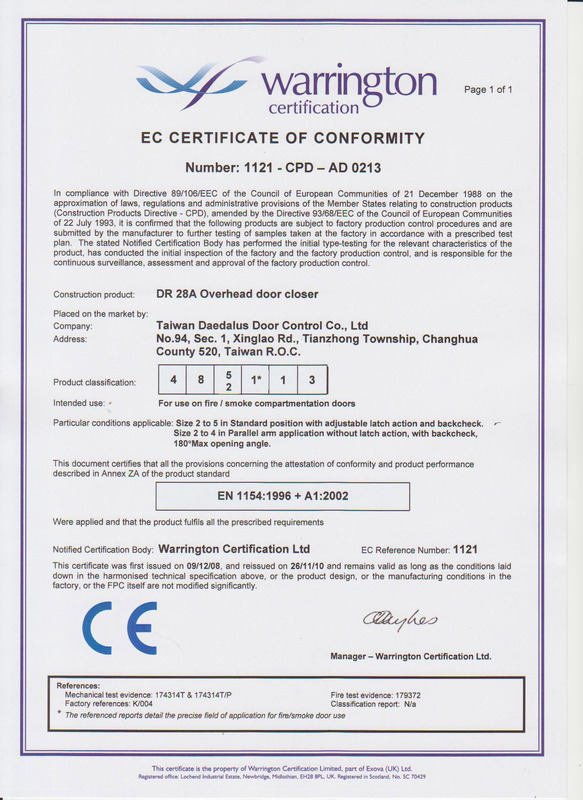 Companies insist on providing the best quality service, development and manufacture of quality products. 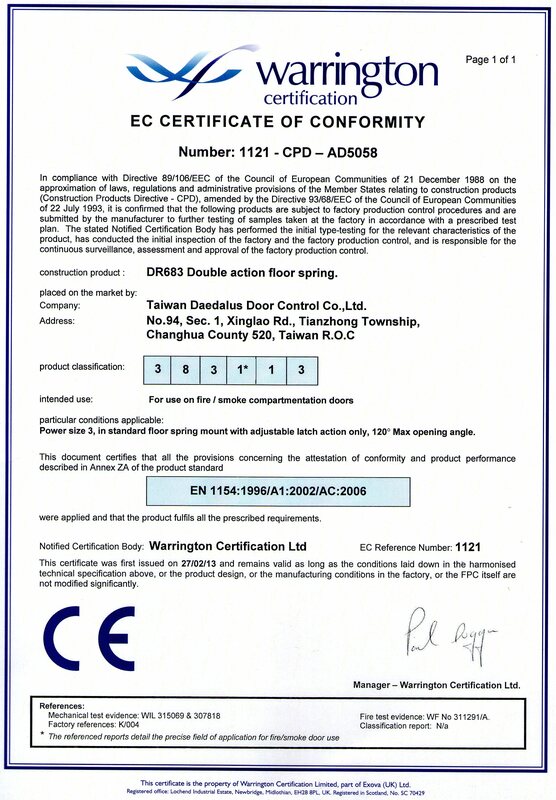 Supply valuable products to customers.